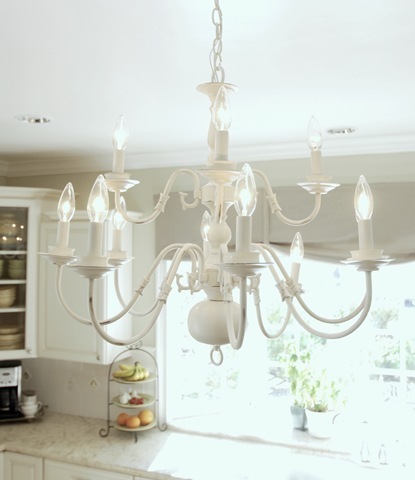 I have been searching everywhere to find a funky/slightly tacky chandelier to put in my kitchen…Well, I’m close. 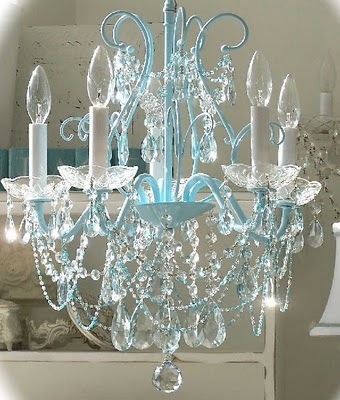 I found one that isn’t quite big enough so I am going to put it in our bedroom. The question is: What do I do with it? Should I spray paint it a bright color, paint it and distress it or leave it in its slightly tacky natural state? Our bedroom is a mix of white and grey with a few pieces of antiquy dark wood furniture. 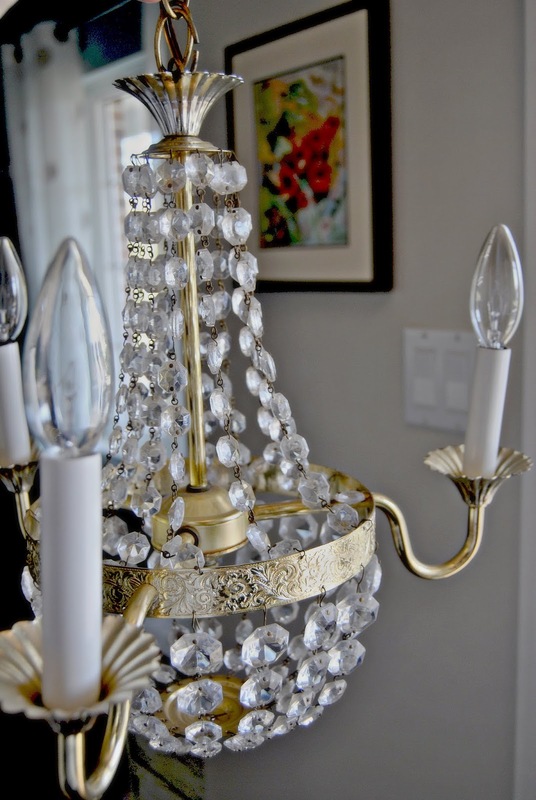 Here are a few Pinterest faves that I have been scoping out for ideas over the past few days. I’m thinking I’m going to spray paint it white…Ideas please! Thanks for coming by The Things We Find Inside. I am now following you on GFC. Cute blog you have here. 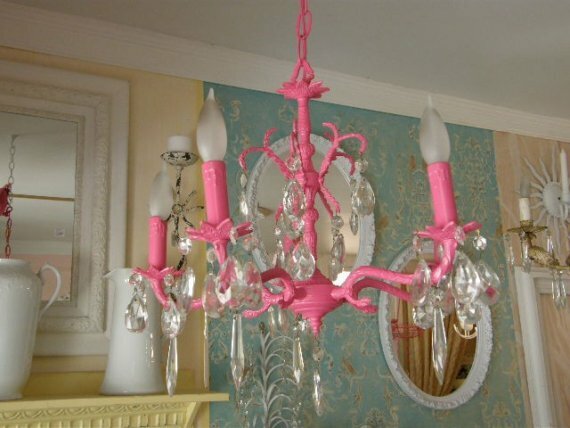 The pink one is my favorite! Thanks for stopping by Nikki! 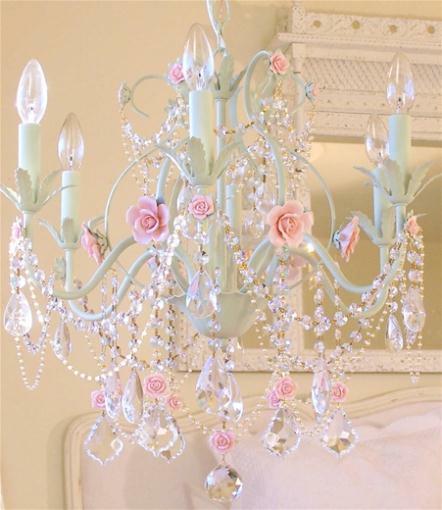 I found the chandelier on a website that is sort of like Craigslist (Kijiji). I think gray could work. Thanks for the suggestion. I will definitely stop by to visit your blog and enter your giveaway. Love them all…but there is something about the pink one.